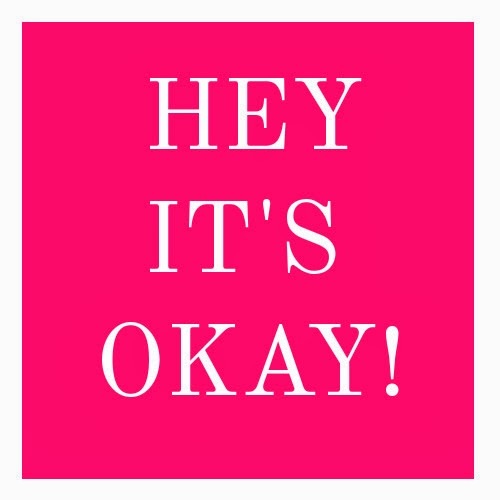 I think this is going to be the first Hey It's Okay post of 2015! How exciting? Whenever I write these posts, I hope that someone out there identifies with at least one thing I include. If you do, please don't be shy and comment! We're in this together! 10. To get a manicure done, but have a change of heart and change the colour hours later. I literally always plan on a cute outfit and then the morning comes and a sweater with yoga pants are what I end up wearing! I just love being comfortable and quick! I absolutely love this idea! I can totally relate to these, especially #8. If I don't plan out my outfit for the next day the night before, I end up spending sooo much time the next morning trying on basically my entire closet. It's nice to know I'm not the only one this happens too! #5 all the time. Naps are too dangerous for me!